The Cowell Senate meets every Thursday night from 8-9:30pm in the Cowell Conference Room 132. New faces are always welcome! The Senate is the student governing board of Cowell College. The Senate represents the Cowell assembly, comprised of current Cowell student, staff and faculty. The Senate acts as a central organizing body that oversees the distribution of Cowell student fees. This money is used for funding Cowell and campus-wide student events and projects. The Senate meets weekly to discuss relevant campus issues and hear presentations about campus programs and initiatives. For more information, you can view the Cowell Senate Constitution, Bylaws, or contact us at csenate@ucsc.edu. WHO ARE THE COWELL SENATE MEMBERS? 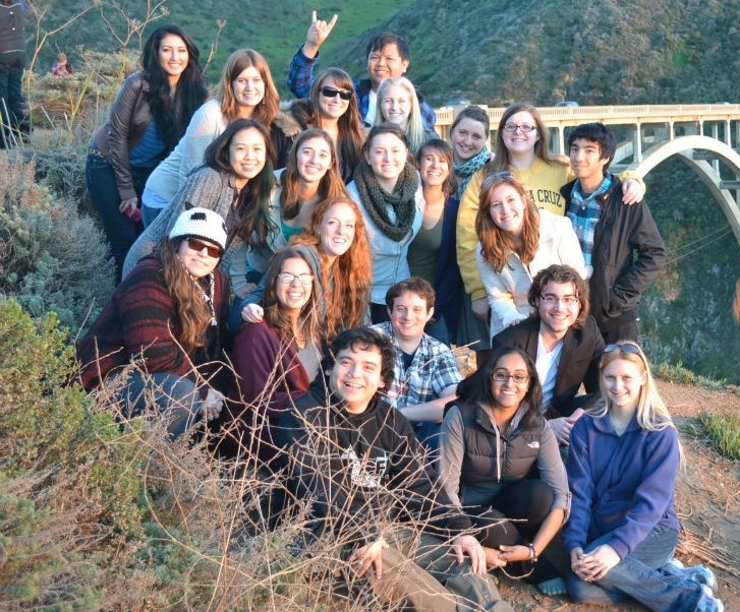 Cowell Senate is comprised of Cowell students (and a staff advisor from the Programs Office). Our membership varies from year to year, but every Cowell affiliate or resident is eligible to become a Selectperson, a full voting member of the Senate. A list of Senate Positions is available (see page 2 of document). To become a Selectperson, you must attend four Senate meetings in a quarter. At your fourth meeting, you will present to the Senate an original eight-line poem of your creation. All Cowell affiliates are welcome to attend any meeting throughout the quarter. Please describe the nature and goals of your event. How many Cowell students are in the planning phase of the event/project? What is your expected attendance or expected benefit of your proposal? How many other organizations have you previously contacted for funding? How much have you received from each? Is this the first time you have done this event/publication/etc.? Please describe previous experience with this project. For publications (newspapers, magazines/journals etc. ): How many copies will you print? Where will you distribute them? Are you willing or prepared to recognize the Cowell Senate as a sponsor of your event? How? How will you publicize your event/publication/etc? Do you plan to come back to Cowell Senate for funding in the future? Roughly how many times do you plan to come back (this quarter, this year)? After you have been confirmed on the agenda, be sure to bring a completed funding request form. Copies can be found on the bulletin boards outside the Cowell/Stevenson Dining Hall or outside the Senate Office (Room 135) or print the funding request PDF. So where does Senate's money go? In the past, the Senate has planned and/or helped fund game nights, dances, music shows, informational meetings and workshops, open mic nights, poetry slams, student publications, guest speakers, cultural nights, and much more! The Senate also coordinates the free Entertainment Co-op. See below for current budget reports. WHAT ARE SOME OF THE BENEFITS OF BEING A SENATOR? By attending regular Senate meetings, you will hear about the very latest events being planned and the current issues being discussed on campus. You will also voice your opinions by voting, sharing your unique views and creating ideas with an extremely attentive audience. Senate members have access to the Cowell Senate Office (Room 135) for use as a study space or meeting room. HOW CAN I LEARN MORE ABOUT THE COWELL SENATE?